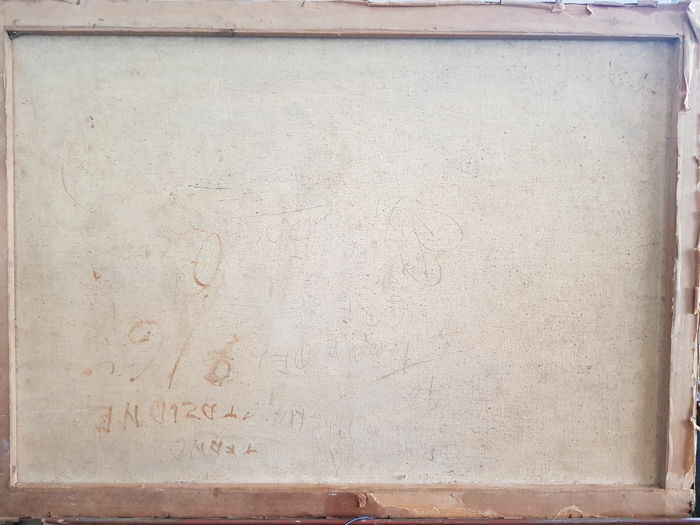 Size without frame: 49 x 69 cm. 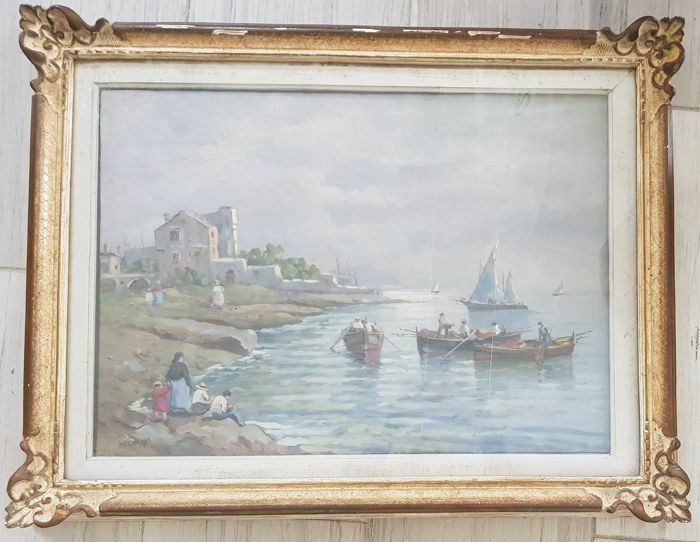 Size with frame: 67 x 87 cm. 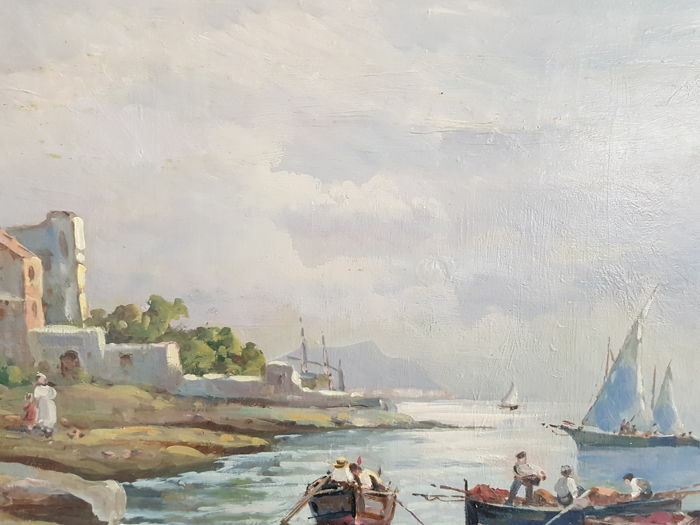 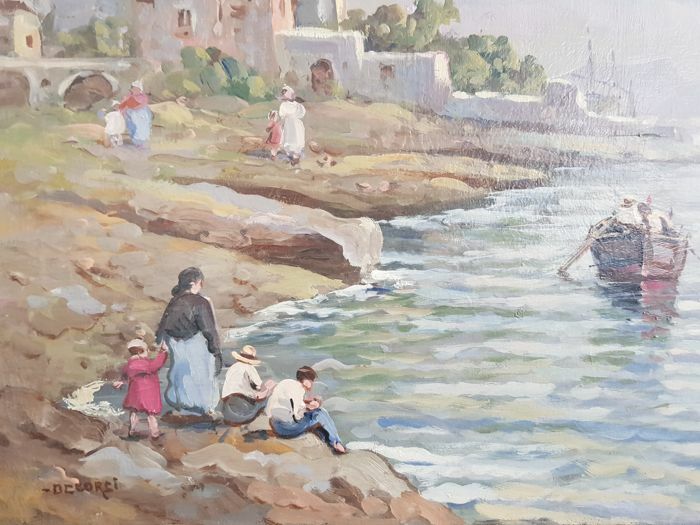 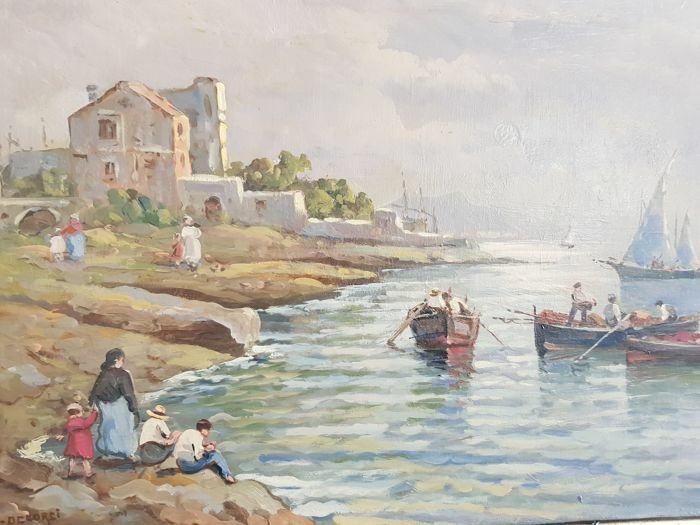 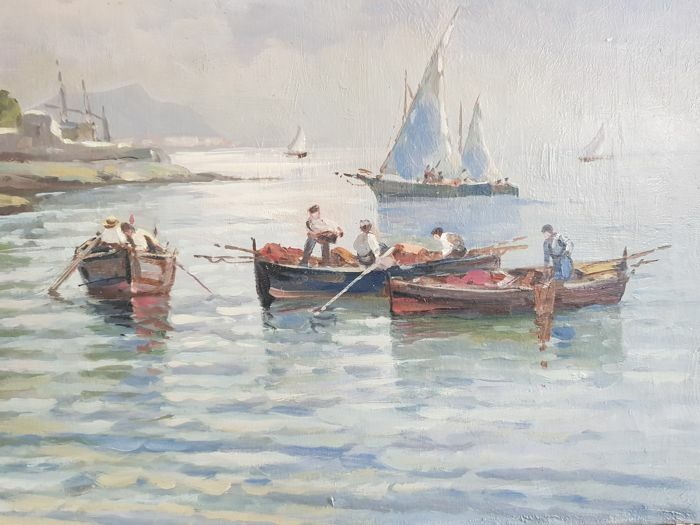 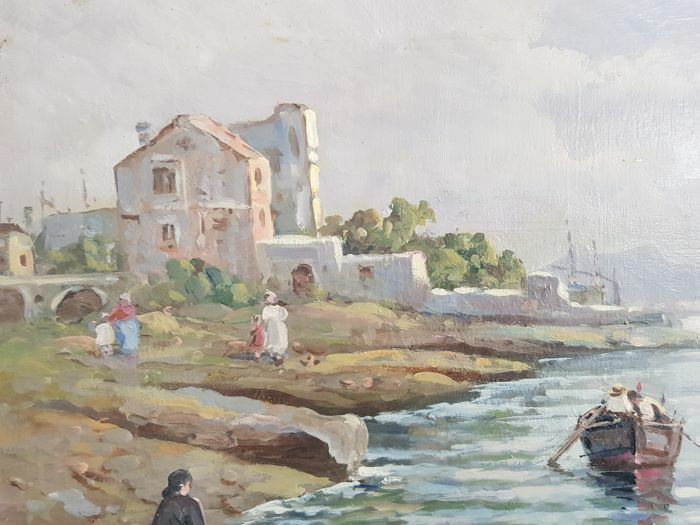 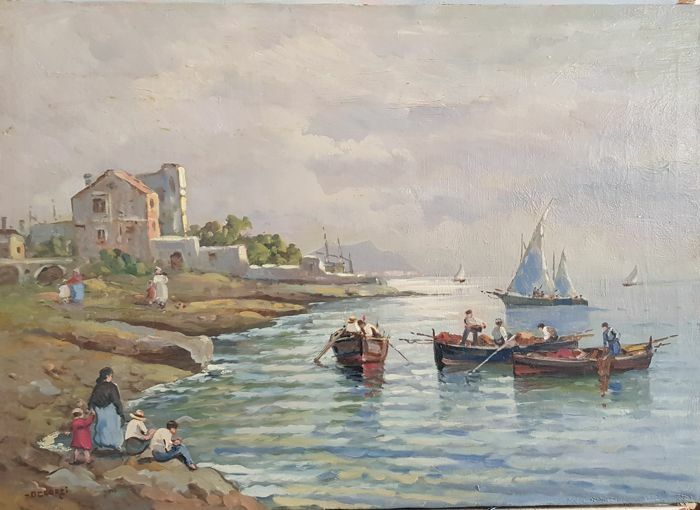 Oil on canvas depicting the seashore of Torre del Greco, signed by De Corsi on bottom left.